Introducing the newest pedal in Mooer's range, the Devin Townsend Signature Pedal, the Ocean Machine. 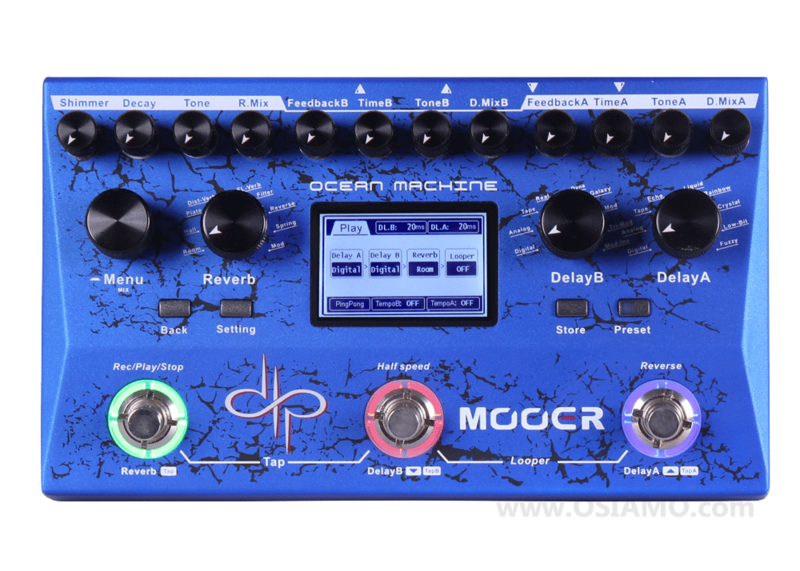 Designed and developed over a year, in collaboration with Devin Townsend, the Ocean Machine is a high fidelity professional delay, reverb, and looper unit which brings together the best available hardware on the market and very complex algorithms to create lush, heavenly effects. Mooer has worked very closely with Devin Townsend to meet all of his own personal requirements while also ensuring that the Ocean Machine is versatile and enjoyable for musicians from all walks of life. Download Quick Start Guide here. Ocean Machine is available at these fine stores. NOTE: Ocean Machine requires 500mA 9V DC power adapter, Not Included in Box. Buy smart! Here are some resources for you to further investigate the Ocean Machine. We're players too and know that all the research doesn't always lead to the right pedal for your sound. No worries, buy with confidence with our 7 day at home trial period.